1. Complete online or in person NEARPOD training sessions or have prior experience using NEARPOD. 2. Create and use ten different NEARPOD lessons /activities with one’s students. 3. Share lesson/activities with teachertech@hudsonisd.org. 4. Post at least five Tweets, SEESAW, Instagrams, etc. about students doing NEARPOD lessons or activities using the following: (If posting on Twitter use #buzzhisd plus the hashtag for individual campus...#buzzpeavy, #buzzbonner, #buzzhms, or #buzzhhs. 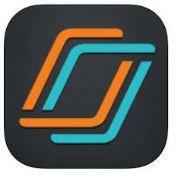 If you do not have a NEARPOD account, contact your campus learning resource media specialist or download the free version of NEARPOD and create an account. 1. Names of the ten different NEARPOD Lessons/activities created and shared with students. ​2. Dates the five different NEARPOD Lessons/activies were used with students. 3. Documentation supporting messages shared or posted. If you have completed the required components for the NEARPOD badge, and have the above documentation, please complete the attached Badge Request Form.